It was a special day today in Fremantle with the ANZAC Centenary departure commemoration following the footsteps of WWI troops. As a major port, Fremantle witnessed the departure of many of Australia’s 416,000 volunteer troops between 1914 and 1918. WA’s first goodbyes occurred one hundred years ago today on Saturday the 31st of October 1914. That day thousands of Western Australians crowded into Fremantle port where we meet today to farewell the Ascanius and the Medic, the first troopships to depart with Western Australian servicemen. 1028 Western Australian men from the 11th Battalion boarded the Ascanius, joining the 10th Infantry Battalion from South Australia already onboard. 552 sailors and soldiers of the 12th Infantry Battalion and the 3rd Field Company Engineers embarked on the Medic, joining yet more troops from South Australia. Both ships remained in Gage Roads until the early hours of Monday morning, when they steamed away to their rendezvous with the fleet of transport ships coming from Albany. I was pleased that Freo was today able to commemorate this important event with so many relatives of the brave men who travelled this path 100 years ago. Well done to the exceptional staff at the City of Fremantle on winning both gold and bronze medals at the 2014 Perth Airport WA Tourism Awards. The 42nd annual awards, which recognise tourism excellence in Western Australia, were announced on Saturday night (25 October) at a gala ceremony held at Crown Perth. City of Fremantle Economic Development & Marketing Manager, Mr Tom Griffiths said the awards recognised the City’s commitment to retaining and enhancing Fremantle’s unique tourism appeal. “Fremantle’s tourism industry is critical to its ongoing sustainability as WA’s second city, so we place the utmost importance on making sure our marketing and visitor information services are industry leading,” Mr Griffiths said. “Over the past year the City’s marketing and visitor centre teams have done a superb job of increasing Fremantle’s appeal as a tourist destination with a range of new campaigns underpinned by our new Fremantle. Be part of the story marketing strategy. We’ve had a lot of help from across the organisation and a great deal of council support so the award truly was a team effort. “It also comes at an important time with Fremantle transforming via a council-led revitalisation strategy which has seen the CBD development pipeline recently exceed $1 billion. This includes a range of new hotels, short stay apartments and other hospitality developments that will help sustain Fremantle’s growing tourism industry and continue to attract visitors from both Australia and overseas,” Mr Griffiths said. Below is our regular summarised version of the monthly meeting of Freo Council which is at 6pm on the 4th Wednesday of each month if you ever want to come along. Thanks to the staff for pulling this together. Enjoy. Council has adopted a draft planning policy to guide residential development of the former Kim Beazley school site in White Gum Valley. The new residential estate will provide a wide range of dwellings to support diverse and affordable housing in White Gum Valley. It will also include the winning design of the Gen Y demonstration house competition, to be built on Lot 7. The proposed City of Fremantle Local Planning Policy 3.15 – Former Kim Beazley school site – White Gum Valley (LPP3.15) applies to the former Kim Beazley School Site at Lot 2089 Stevens Street and the adjoining drainage reserve at Lot 2065 Hope Street, White Gum Valley. The area is 2.29ha in area and is located approximately 2.5 kilometres east of Fremantle, positioned between the Royal Fremantle Golf Course/ Booyeembarra Park and existing residential development. The site is zoned ‘development zone’ under the City’s Local Planning Scheme and on 12 August 2014 the Western Australian Planning Commission (WAPC) approved theWhite Gum Valley former Kim Beazley school site Local Structure Plan (LSP) over the site for final adoption. A subsequent subdivision approval for 28 lots, including four larger freehold lots for the purpose of facilitating future grouped dwellings, was given by the WAPC on 1 September 2014. Council has considered precinct plans for the Victoria Quay Commercial Precinct, the Fremantle Station Precinct and the Pioneer Park Precinct and has given approval for City officers to prepare a draft submission on the three precinct plans. The draft submission will be presented to council at a later date for endorsement, following which it will be sent to the Western Australian Planning Commission as the City’s official submission. Preparation of draft precinct plans for the Victoria Quay Commercial Precinct, the Fremantle Station and Pioneer Park areas has been underway since 2012. The project has been coordinated by Fremantle Ports with input from the Public Transport Authority and the City of Fremantle and undertaken by a consultant team led by CODA. Draft final plans for the Victoria Quay and Station precincts have now been submitted by Fremantle Ports and the Public Transport Authority to the Western Australian Planning Commission for approval. The Pioneer Park Precinct is within the City of Fremantle’s area of planning responsibility and therefore will need to be addressed by the City and incorporated into its City Centre Activity Centre Structure Plan that is currently in preparation before being submitted for approval to the WAPC. 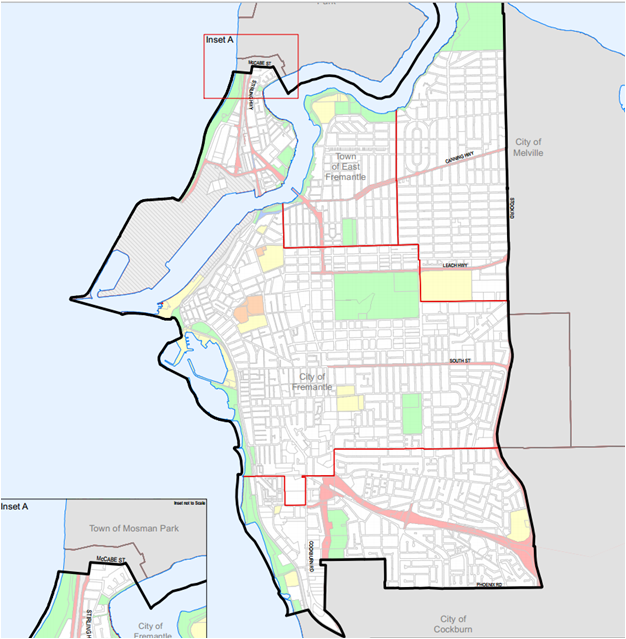 While the overall project area has been divided into three precincts to reflect the different ‘landowner’ for each area – Fremantle Ports, the Public Transport Authority and the City of Fremantle – the three plans have been developed simultaneously as development in each of these precincts impacts on adjacent precincts. Council has discussed the draft City of Fremantle Integrated Transport Strategy which, following further work, will be advertised for public comment. The strategy draws together strategic land-use and transport planning work that has taken place in recent years and provides a broad overview of councils position on a range of transport issues and opportunities. a road network that supports a balanced and holistic transport network, with an emphasis on prioritising public and active transport especially in the Fremantle city centre. The development of an Integrated Transport Strategy (ITS) is one of the projects identified in the Council’s 2010-15 Strategic Plan under the transport strategic imperative – “Lead in the provision of environmentally and economically sustainable transport solutions”. The strategy is not intended to address every detailed transportation issue, nor replace more operational level plans such as the Bicycle Plan, local area traffic management schemes or parking plans, but will help inform the future preparation and review of such operational level plans. The Cantonment Hill Activation Working Group has now been formalised to assess and provide recommendations to council on ways to activate the Cantonment Hill area while further planning and implementation of the large-scale Cantonment Hill Master Plan takes place. The City received four submissions in line with the advertised scope to activate the reserve with interest shown to all available buildings and some of the open space. The Sunday Times and Perth Now have been running an impressive series on the future of Perth and the challenge of a sprawling metro area. In response to week one which talked of a new blueprint for a more compact Perth (http://www.perthnow.com.au/news/special-features/future-perth-blueprint-for-a-compact-capital/story-fnmx16d1-1227083773777) I conveyed to the journo Peter Law my concern that a new Perth blueprint without more substantial incentives and penalties (or carrots and sticks) was not going to enable better urban infill to happen. Just having targets is clearly not enough unless you are going to actually do something to make them happen. Directions 2031 has had a 47% target for years and infill has tracked well below this (28 odd%) with no ramifications for anyone. 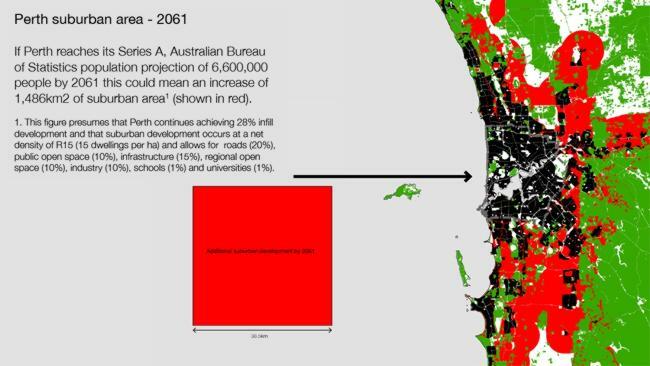 When a Council like Fremantle embarks on greater densities be at in the CBD or Stirling Hwy North Freo there is little support from anyone at a state level and all the community anger is directed solely at the Fremantle Council despite us trying to implement their Direction 2031 targets. I said I was fascinated to see if this is really going to change or if it will be just loose, feel good “encouragement” of density? THE State Government needs “to put its money where its mouth is” if it’s serious about stopping urban sprawl, according to City of Fremantle Mayor Brad Pettitt. Fremantle has set a target of quadrupling the population of its CBD, currently home to just 850 people, by 2020, but Dr Pettitt said the City had received no support from the State to enable the growth. He called for infrastructure funding to be given to those local governments delivering infill housing, arguing that the money should follow the people. Dr Pettitt also suggested that local government infill targets be mandated to ensure it’s not only a handful of “progressive councils” that to do “all the heavy lifting”. While the State Government sets the target of 47 per cent infill housing, it is councils who bear the brunt of local opposition when trying to implement the policy, he said. When the City of Fremantle voted to increased building heights to up to seven to ten stories it was the single biggest debate for the community in a generation. “The State Government needs to take a more interventionist approach if it’s serious about this. There is little value in having another document with a series of blue-sky outcomes that don’t have any teeth to back them up,” Dr Pettitt said. “You need to restrict growth on the urban fringe. That may not be an absolute urban growth boundary, but at the moment the land releases are encouraging the sprawl. It’s almost too easy and it continues to be the main form of housing growth. Urban fringe growth is now sitting above 70 per cent. Dr Pettitt said Fremantle’s economic future ultimately depends on more people living and working in the heart of Freo. “The State Government needs to put its money where its mouth is and actually follow where the people are going to go with infrastructure investment,” he said. Now that the dust has settled and celebratory hangovers mellowed I thought it worth digging a little deeper into the amalgamations decision. The new boundaries are clearly a very good outcome for Fremantle. There was a time when it seemed we would be swallowed up by Melville and a Fremantle Council and unique Fremantle voice would be drowned out in a sea of suburbia. A strong community-led campaign. The Fremantle Forever campaign was a great community effort with everything from concerts to petitions and street art – all done by volunteers and those hard working people deserve a huge pat on the back or alternatively a big group hug from all of us. A moderate, sensible, evidence based approach to the Freo boundary issue. At the heart of this was demonstrating the Fremantle was committed to substantial population growth, economic investment and keeping Fremantle as Perth’s second city. The pro-development approach whilst controversial for some in the community was undoubtedly important to demonstrating to the local government advisory board and the State Government that Fremantle could be a sustainable local government area by itself into the future. Fremantle speaking with one clear voice. I was really impressed by how diverse groups from the Fremantle Society to the Fremantle Chamber of Commerce all got behind the joint Fremantle Forever position. Everyone speaking with one voice was essential and shows what Fremantle can do when we collaborate. It really was a big win on an issue that is so important to Fremantle’s future as a unique urban centre. While the boundaries were good there are some other aspects that I am less impressed by. The failure for the State Government to amalgamate the local government areas that needed it to the most – aka the Western Suburbs. It seems that we might well be left with Perth’s smallest council Peppermint Grove left intact with it 1200-odd residents while far larger councils are forced to merge. It makes you wonder how committed the State Government really is to amalgamating these blue-ribbon liberal councils. I would have thought better to do all the mergers at once and refine the Perth boundaries through legislation down the track when you have parliamentary support. The loss of wards. This means that local Councillors from diverse corners of greater Fremantle may be lost which is a shame. No wards will also encourage political parties into local government like never before as it will be very expensive to run for a Council seat. The potential for commissioners to come in and replace Freo Councillors until the next election. Just a Fremantle is getting some good momentum to have this broken with the Council dissolved and commissioners who may not know Fremantle well could be a real loss at this time. So as a whole this is a good long term outcome for Fremantle and well done to all involved. My concerns lie solely in the implementation of this new greater Fremantle and I sincerely hope it doesn’t slow or undermine the Fremantle renaissance that is finally underway. Tim was a real pleasure to work with. A man who has an absolute passion for Fremantle. Tim’s great strength was not only his energy and passion but that he was a real team player. He worked closely and collaboratively with the Fremantle Council and it was good to kick so many key goals together. He worked tireless with the business community and in partnership with the City of Fremantle to breathe economic life back into Fremantle and he should leave a proud man. It was a fitting week for Tim to move on. Under Tim the Fremantle Chamber played an important role in supporting Fremantle as a separate local government area and it was nice to be able to celebrate a victory in this long battle with him. 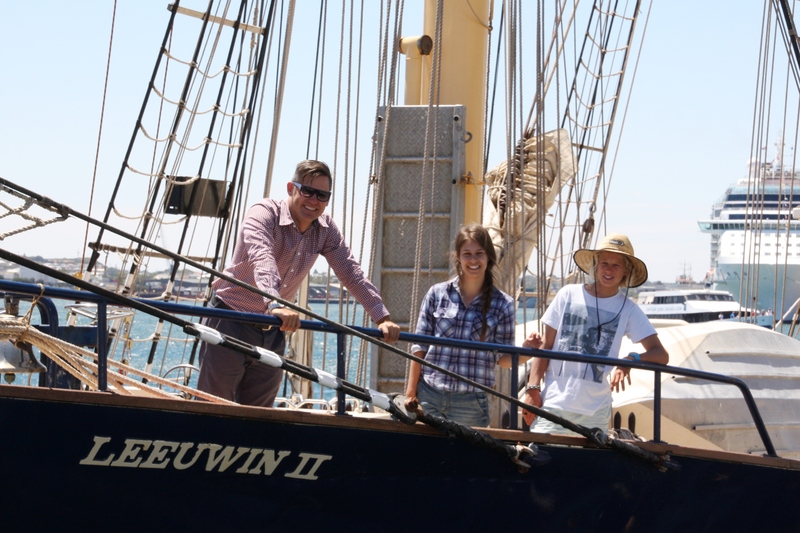 Fremantle residents or students are encouraged to take up an exclusive opportunity to apply for a full scholarship to sail Leeuwin on an incredible ocean adventure in 2014 funded by the City of Fremantle. Three young locals will be selected among applicants to take part in a 2014 ocean adventure valued at $1980 for free. To apply applicants must be aged 14-25 years, a Fremantle resident or student attending a TAFE, school, university or youth service in Fremantle. I’d encourage all young locals to apply for the once in a lifetime opportunity. The lucky recipients will join up to 40 other youth from across the State on their seven-day voyage and take part in all aspects of sailing the traditional three-masted barquentine tall ship. During the adventure-filled week they will stand watch at night, meet new friends, climb the 33-metre main mast and challenge themselves. Run by local not-for-profit organisation Leeuwin Ocean Adventure Foundation, the ocean voyages aim to challenge and inspire young people to realise their personal potential and develop key life skills. Applications close at 5pm Monday, October 27.